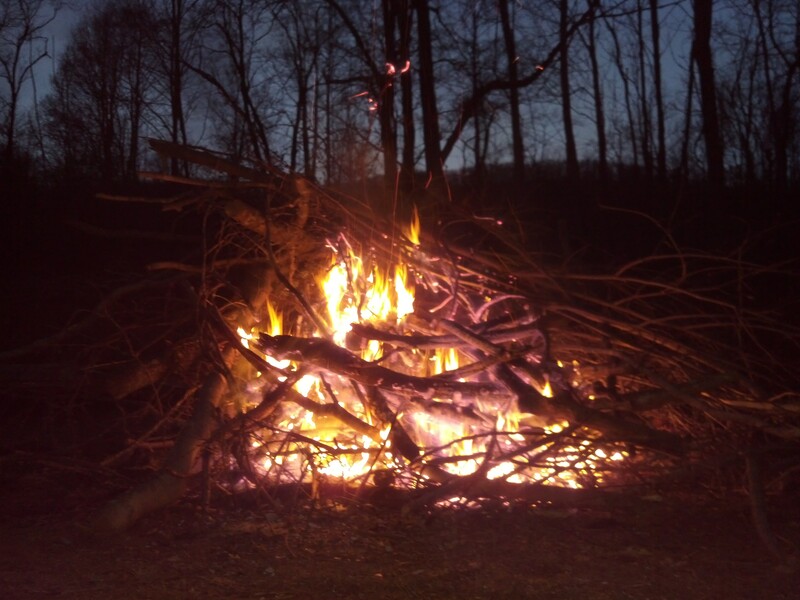 Tonight, we lit a fire to clear away so that we “put the hurtin’ on with the chainsaw tomorrow,” as P says. . . . we’ll have some space to burn the hurtin’.